Rashida Jones had to ignore every comedic instinct she had to make "Angie Tribeca" funny — and, hot damn, did it work. “Angie Tribeca” is the smartest dumb comedy on TV, which actually makes it one of the smartest comedies on TV — no qualifier. The TBS series’ humor is the kind that would make you roll your eyes and groan if you weren’t so busy chuckling to yourself at the delightful absurdity. 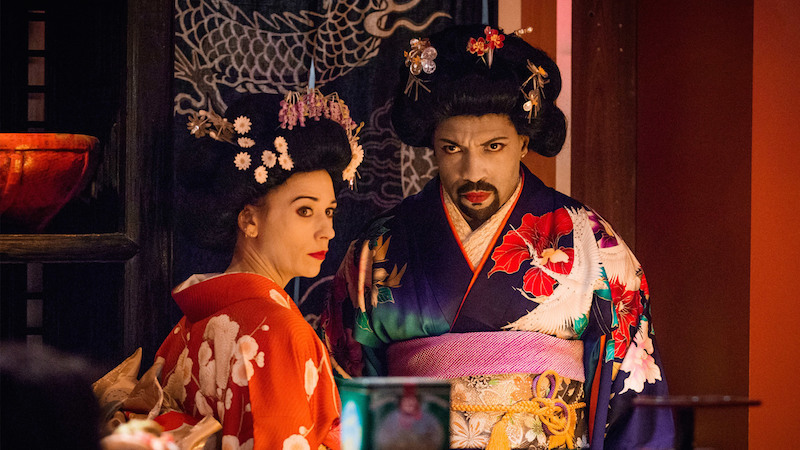 Yet what’s easy to overlook about this kind of comedy is how hard it is to get right, as the rhythms of traditional sitcoms are derailed by an onslaught of one-off jokes, rather than a rhythmic, building dialogue. Right at the center of it all is Rashida Jones, the titular star and invested producer of “Angie Tribeca.” Unlike a lot of comedies, Jones’ performance is actually wired against her natural instincts. Jones is acting as though she’s in a dramatic police procedural — which, she was back in 2005 — because that’s what her character believes. In that, there’s a goldmine of laughs. But if you miss the mark, it’s just not funny. Here’s how she pulled off the transformation, and why things got even harder — and better — in Season 2. What made you choose “Angie Tribeca” as your next big project? Well, I grew up on a steady diet of binge-watching “Airplane!” just over and over again. And so it was just kind of the movie that taught me to laugh. And that kind of comedy — that absurd, broad, slapstick comedy — although it’s very easy to watch, I wanted the challenge of figuring out if I could do it. It doesn’t come up that often in TV, and it’s really difficult to execute. I read the script and I felt like, “Oh my God, this is it. This is my chance!” So, I had a destiny with this type of comedy — at least to attempt this type of comedy — and I felt like I had to do it. I had to take it. What were the challenges in doing this type of comedy? What were you worried about? I was luckily a bit naive about how difficult it was. I think if had I known how technical and detailed it was to try and make this comedy work, I would have been a little bit more scared at the top. [laughs] But it’s a hard type of comedy to execute because the truth is, your job really is to let things be funny around you and to help facilitate the visual gags and the puns. The jokes have to be so perfectly choreographed to work, so it’s not like a loosey goosey improv situation. You gotta nail it. Every single piece of the joke has to land perfectly and the timing has to be perfect and the choreography has to be perfect and the props have to be perfect and all that. If it isn’t, it doesn’t work. It’s not funny. So the challenge is to a) not try to be funny myself; to serve the joke first and foremost. And then b) to just be the tour guide for the all the other departments who are doing a really good job. For a costume or a makeup gag or a stunt, I need to just be still instead of be the centerpiece for the joke. So many of those jokes are visual jokes. You have to cut, then get somebody in makeup or bring in a big set piece or introduce the animal or whatever that is, and then start right back up again. Was that a difficult aspect for you? It is challenging because most comedies, you’re creating a rhythm and know it’s funny and you know it’s working. In this way, if it doesn’t feel funny, then you know it’s working. Because my character does not know she’s in a comedy, I just have to be as as straight as possible so everything can play around me. And it’s uncomfortable! When you’re doing it, you look at jokes, you’re like, “See, you guys? Look how funny this show is!” But the truth is, you’ll ruin the joke if you do that. It’s like a new discipline to let comedy happen around you and to trust that ultimately it will be funnier if you don’t feel funny. [laughs] It’s counterintuitive. It’s confusing. How did you grasp that mentality? It’s been a real steep learning curve, and I would say our second season has done that even better. We really drive up the tone. The first season, I’m very proud of it. It’s very funny, but we were still trying to figure out how we fit into the world and what the tone is. I’m in a procedural in the second season. I’m not a comedic actor in a procedural, I’m just in a procedural, which was hard to do, but it took a season to get there. Considering Season 2 is targeting darker, modern cop dramas, can you go too far when you’re actually lampooning something that gets pretty serious? No, we’re shameless. There is no line. [laughs] I think the straighter you are, the more you can make fun of. So, because the actors have this kind of new, very controlled, restrained tone, the jokes can be even more ridiculous. Is there any room for social commentary in this kind of comedy? 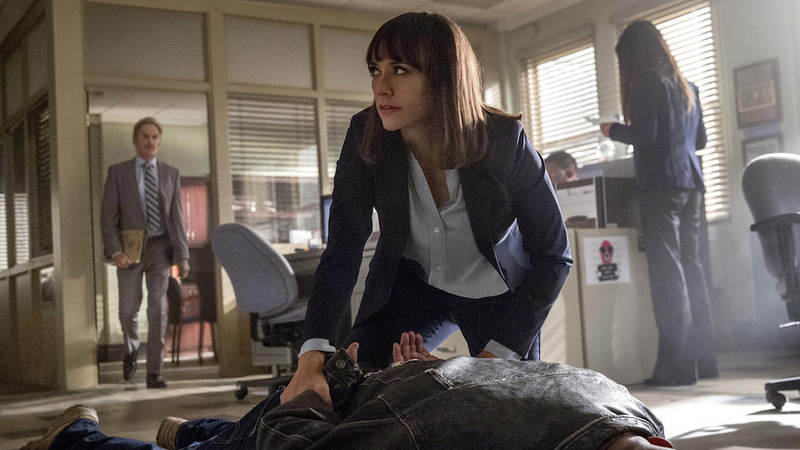 With “Angie Tribeca” spoofing shows like “True Detective” — and how it treats its female characters — and more general tropes that are problematic in some of these shows, is that something you guys ever want to explore? Or does it just not fit in with the style that you’ve established? No, we do when we can. And we actually have a good joke in one of the episodes this year that’s subtlety about that. We think that maybe a harpoon could be a possible weapon in a murder, and we go on a run about harpoon laws and how sensible harpoon laws are in this country and it’s so nice that we have a database and we can just track harpoons back to the people who own them and it makes no sense, you know? And that’s our subtle statement on gun control. It’s just a short run, it’s not the whole show. And we definitely deal with some race stuff, but really just poking fun at people’s propensity be a little less intolerant. I was curious if there are any similarities between the way this is shot and your old, legitimate police drama, “Wanted.” Did any of that come rushing back to you or did anything compare? It’s funny, we talked about it, because it is sort of like I’m doing the parody version of that character. We filmed in a warehouse in Long Beach for that show, but I was LAPD and I was super tough. You know, tough exterior, mushy interior, girl amongst guys who had to prove herself. That stuff was really similar. I think I did a lot more running on “Wanted” — always chasing a perp. It’s a funny trajectory for me because that was on TNT, I was really excited about that job and it was super, super serious. And this is the lighter side of that. “Angie Tribeca” Season 2 premieres Monday, June 6 at 9pm.